"Has a very good legal mind and is extremely easy to get along with. He is also particularly well informed. He is always easy to reach and prompt with his responses. "; "He's always a pleasure to deal with and judges are highly receptive to his advocacy style." Malcolm is a leading junior with a litigation practice specialising in all aspects of public, administrative, EU and commercial dispute resolution. Malcolm is ranked by both of the leading independent legal directories, who have said that he is "an exceptional talent"; "clever, a good advocate, charming and brilliant"; "very sharp and personable”; and "a highly skilled, highly experienced, tenacious advocate" who "can hit the ground running and really get his head around a case at top speed." R (Monarch Airlines) v Airport Coordination Ltd  EWCA Civ 1892 – successfully acting for the Administrators of Monarch Airlines in these highly expedited judicial review proceedings concerning whether Monarch entitled to be allocated “slots” at Gatwick and Luton Airports (led by Marie Demetriou QC). Due to the significance and urgency of the case, it was heard by a Divisional Court within a week of the claim being issued, and an appeal was heard by the Court of Appeal a week thereafter. Acting for the claimant in R (Holmcroft Properties Ltd) v KPMG LLP  Bus LR 932 (one of “The Lawyer’s” top 20 cases of 2016). Malcolm is also instructed to appear in the pending appeal before the Court of Appeal. Successfully appearing unled before the Court of Appeal in British Gas Trading Ltd v Oak Cash and Carry  1 WLR 4530. Appearing before the Judicial Committee of the Privy Council in Bimini Blue Coalition Ltd v Prime Minister of The Bahamas & Ors  UKPC 23: Taylor v R  1 WLR 1144; R v Lundy  UKPC 28, (2013) Times, December 10,  2 NZLR 273 and R v Pora  UKPC 9; Times, April 20, 2015. Appearing before the Supreme Court, Court of Appeal and Divisional Court in R (Sandiford) v Secretary of State for Foreign and Commonwealth Affairs  1 WLR 2697;  4 All ER 843;  HRLR 21; (2014) Times, July 25. Prior to transferring to the English bar, Malcolm qualified as an English solicitor and at the New Zealand bar, including a period as judicial assistant in the New Zealand Court of Appeal, and studied law at the University of Oxford, where he was from 2008 to 2011 a Research Fellow and Tutor in Law at Keble College, specialising in Constitutional and European Union law. Malcolm is an experienced public lawyer with expertise across a broad range of subject areas including commercial judicial review, public international law, education, financial regulation, media and advertising, immigration, information law, inquiries, aviation, gaming, pharmaceutical and food regulation and civil liberties and human rights. He is currently the Secretary of the Constitutional and Administrative Law Bar Association and a member of the Attorney General's C Panel of Counsel. Sophocleous & Others v Secretary of State for the Foreign and Commonwealth Office, Secretary of State for Defence  EWHC 19 (QB) – acting for the successful Claimants at the trial of this preliminary issue concerning the applicable limitation law in this claim relating to the United Kingdom Government's liability for acts of torture allegedly committed by the British Army and colonial forces during the "Cyprus Emergency" of the 1950s (led by Zachary Douglas QC). R (Tirkey) v Lord Chancellor  1 WLR 2112 – successfully defending challenge concerning compatibility of charge imposed by section 25 of Legal Aid, Sentencing and Punishment of Offenders Act 2012 with European Convention on Human Rights (unled at permission and detailed grounds stage; led at hearing by Martin Chamberlain QC). Acting for the claimant in R (Holmcroft Properties Ltd) v KPMG LLP  Bus LR 932 (one of “The Lawyer’s” top 20 cases of 2016) a judicial review challenge to the process followed by KPMG, an “independent reviewer” appointed to oversee the exercise of a redress scheme operated by Barclays Bank and overseen by the Financial Conduct Authority in respect of mis-sold Interest Rate Hedging Products (‘IRHPs’). R (Ian Stewart-Brady) v Lord Chancellor  EWHC 410 (Admin);  MHLR 274 - Malcolm appeared (unled) for the Lord Chancellor in his successful defence of this challenge, brought by Ian Stewart Brady (the Moors Murderer), who contended that the Lord Chancellor had breached Articles 5, 6 or 8 of the European Convention on Human Rights by failing to provide a lawyer of his choice in proceedings by which he wished to establish that he ought to be released from Ashworth Psychiatric Hospital. R (on the application of Ibori) v Secretary of State for the Home Department  All ER (D) 23 (Jun) Malcolm acted (unled) for the Home Secretary in defending this challenge by the former Governor of Delta State in Nigeria, to his detention and (following his release) his claim for damages for false imprisonment. The High Court ordered his release following an urgent hearing, but at the subsequent hearing of his damages claim, awarded only nominal damages of only £1 for false imprisonment. The Claimant was refused permission to appeal to the Court of Appeal against this decision. R (Troitino) v National Crime Agency v Secretary of State for the Home Department, Spanish Judicial Authority  EWHC 931 (Admin) - appearing (unled) for successful Defendant before the Divisional Court in judicial review proceedings concerning the extradition of a convicted terrorist. Thompson v Director of Legal Aid Casework  EWHC 230 (Admin);  1 Costs LR 163 – acting (unled) for successful defendant in claim which contended Defendant’s decision violated the Claimant’s rights under Article 8 of the European Convention on Human Rights. R(IS) v Director of Legal Aid Casework & Lord Chancellor  1 WLR 4733 (CA). Acting (led by Martin Chamberlain QC) in this successful defence of the legality of the Exceptional Case Funding (ECF) scheme for the administration of legal aid. R (Collins) v Secretary of State for Justice  QB 862;  2 WLR 1303;  3 All ER 490; Times, February 23, 2016 concerning the circumstances in which the so called “Householder Defence” law introduced by the Crime and Courts Act 2013 affords a defence to those who use disproportionate force against people believed to be intruders in their home, and the compatibility of this law with the European Convention on Human Rights (led by Paul Bowen QC). R (BD) v Director of Legal Aid Casework  EWCA Civ 733 concerning relevant principles on assessment of costs in compromised judicial review proceedings (led by Guy Mansfield QC). R(Faulkner) v Lord Chancellor  4 WLR 178 concerning extent to which damages for State detention pursuant to the European Convention on Human Rights are subject to the statutory charge applied by the legal aid regime (led by Paul Nicholls QC). R (RJ) v Director of Legal Aid Casework  Inquest LR 91;  EWHC 645 (Admin) concerning the extent to which interested persons at inquests may benefit from the procedural protections of Article 6 of the European Convention on Human Rights. R (Barda) v Mayor of London  4 WLR 20. Malcolm is instructed by Liberty (led by Marie Demetriou QC) in this case which concerns alleged breaches of the right to protest during demonstrations by the "Occupy Democracy" movement in the lead up to the 2015 general election. R (Letts) v Lord Chancellor (Equality and Human Rights Commission Intervening)  EWHC 402 (Admin);  1 W.L.R. 4497;  2 All E.R. 968;  2 Costs L.R. 217;  Inquest L.R. 15 Defending challenge to the lawfulness of guidance regarding the circumstances in which Article 2 of the European Convention on Human Rights requires public funding for representation at inquests (led by Martin Chamberlain QC). R (Gudanaviciene & Ors) v Lord Chancellor & Director of Legal Aid Casework  EWCA Civ 1622  1 W.L.R. 2247;  3 All E.R. 827 Acting for Defendants (led by Martin Chamberlain QC) in these six joined applications for judicial review. These were intended as test cases regarding the circumstances in which legal aid must be made available in immigration cases and were heard in the Administrative Court over five days and by the Court of Appeal over four days. R (Sandiford) v Secretary of State for Foreign and Commonwealth Affairs - Appearing (led by Martin Chamberlain QC) before the Supreme Court (reported at  1 WLR 2697), Court of Appeal (reported at  1 WLR 2938) and Administrative Court ( EWHC 168 (Admin)) in this case, which concerned whether Mrs Sandiford, a British National facing the death penalty in Indonesia had an enforceable EU, ECHR or domestic law right to legal assistance. J Sainsbury’s Ltd v Independent Reviewer of Advertising Standards Authority Adjudications (Tesco Supermarkets Ltd, Interested Party)  EWHC 3680 (Admin) - Appearing for the interested party (led by David Anderson QC) in this judicial review claim concerning the application of Directive 2006/114/EC concerning misleading and comparative advertising and Directive 2005/29/EC on unfair business-to-consumer commercial practices. Bimini Blue Coalition Ltd v Prime Minister of The Bahamas & Ors  UKPC 23 - Appearing (led by Richard Gordon QC) before the Judicial Committee of the Privy Council in this appeal involving an appeal against the refusal of interim relief in judicial review proceedings to restrain development works, the legality of which was the subject of the underlying proceedings. R (Pressbof) v Secretary of State for Culture, Media and Sport & Ors  EWCA Civ 965 - Acting for the Claimants in this challenge to the 2013 Royal Charter for Press Regulation (led by Richard Gordon QC). Acting as junior counsel to the ‘Pollard Review', chaired by former Head of Sky News Nick Pollard into matters surrounding a dropped Newsnight investigation which featured allegations of sexual abuse by Jimmy Savile. Islam v LCA Business School & Anglia Ruskin University (2014, Administrative Court) - Appearing unled for the Defendant, opposing an application for permission to bring judicial review proceedings, and for interim relief, in respect of a decision to exclude a student. To defend a substantial Frankovich damages claim concerning financial regulation pending before the Commercial Court (led by Andrew Henshaw QC). To advise and assist the Financial Services Authority (now the Financial Conduct Authority) on the consequences of the Financial Services Act 2012. Appearing before the First Tier Tribunal and Upper Tribunal in a large number of immigration and asylum cases across a range of areas (including Asylum appeals, PBS appeals , ECO refusals and judicial review applications before the Upper Tribunal). R v Barton (James)  EWCA Crim 1691 – Appearing pro bono at the renewed hearing of this application for permission to appeal against the imposition (some years ago) of a recommendation for deportation following a criminal conviction in circumstances where the Appellant had subsequently been diagnosed as suffering from a lifelong learning disability affecting his ability to plead. To advise the Office of Fair Trading on the scope of their obligations in response to several Subject Access Requests, brought under the Data Protection Act 1998. To draft submissions on behalf of the Information Commissioner's Office in Miller v Information Commissioner and Financial Reporting Council (EA/2014/0113). R v Lundy  UKPC 28; (2013) Times, December 10;  2 NZLR 273 - Appearing as sole junior counsel for the successful appellant in this historical miscarriage of justice case from New Zealand which was heard by the Judicial Committee of the Privy Council over three days. Malcolm continues to act as junior counsel in Mr Lundy’s impending re-trial before the High Court of New Zealand. Taylor v R  1 WLR 1144 - Appearing pro bono for the appellant before the Judicial Committee of the Privy Council in this historical miscarriage of justice appeal from Jamaica. R v Pora  UKPC 9;  1 Cr. App. R. 3;  Crim. L.R. 884; Times, April 20, 2015 - Appearing as junior counsel for the Appellant in this historical miscarriage of justice case from New Zealand which was heard by the Board over two days in early November 2014. Malcolm is a former fellow of Keble College, University of Oxford, where he taught Constitutional and European Union law. While working as an academic, Malcolm assisted with a number of public law cases, including Barlow v the Queen  UKPC 30 (regarding the Privy Council's prerogative jurisdiction to hear historical appeals from New Zealand) ; FH (Bangladesh) v Secretary of State for the Home Department  EWCA Civ 385 (successful appeal to the Court of Appeal on grounds of delay in considering application for leave to remain on human rights grounds) and Dore v Leicestershire County Council  EWHC 34 (Ch). Malcolm was appointed in 2003 by the New Zealand Human Rights Commission to a National Advisory Council overseeing the development of a national plan of action for human rights, which was published in 2006. He has co-authored a number of reports, including on barriers to claims for human rights abuses in the Democratic Republic of Congo for United Nations Special Representative John Ruggie, and on remedies under human rights legislation for an Australian government inquiry. While an academic, he provided legal research assistance to Hon Anthony Ford, then Chief Justice of Tonga. T-80/16 Shire Pharmaceuticals Ireland v EMA ECLI:EU:T:2018:165 – acting for successful applicant in this action for annulment in which the General Court provided important guidance as to the approach which ought to be taken by the European Medicines Agency ("EMA") in respect of applications for designation as an “orphan medicinal product” pursuant to the terms of Regulation (EC) No 141/2000 (the "Orphan Regulation") (led by David Anderson QC). C-267/16 Buhagiar & Ors v Minister for Justice ECLI:EU:C:2018:26 - appearing before the Grand Chamber of the Court of Justice of the European Union on behalf of the United Kingdom government on this reference concerning the scope of Gibraltar’s exclusion from the common customs union and the TFEU provisions on free movement of goods (led by Marie Demetriou QC). E-15/16 Yara International ASA v Norway  1 CMLR 25 – acting (unled) for the United Kingdom Government in this significant EFTA Court reference concerning the compatibility of Norweigan tax rules relating to intra-group transfers with EEA law. R (Monarch Airlines) v Airport Coordination Ltd  EWCA Civ 1892 - successfully acting for the Administrators of Monarch Airlines in this leading case on the application of Council Regulation (EEC) No 95/93 of 18 January 1993 on common rules for the allocation of slots at Community airports ("the Slots Regulation") (led by Marie Demetriou QC). Merck Sharp & Dohme Corp v Comptroller-General of Patents, Designs and Trade Marks  RPC 2 (Ch). 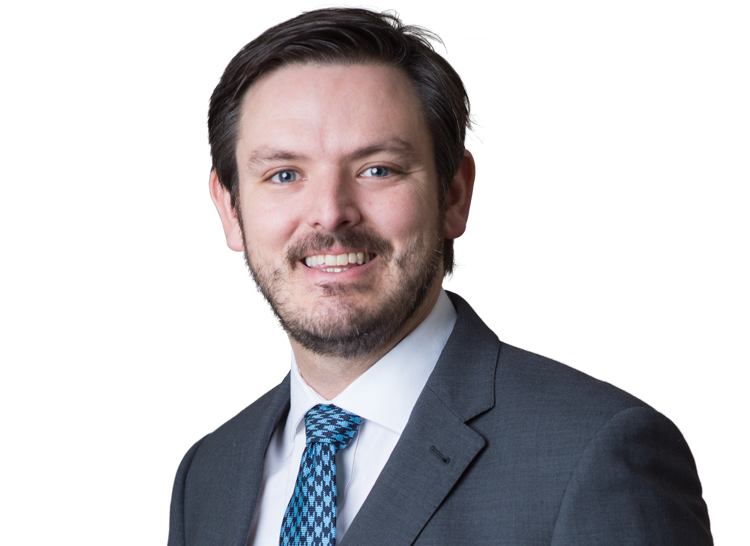 Acting (led by Nicholas Saunders) in this significant case concerning the correct interpretation of the supplementary protection certificate regulation, subsequently confirmed on reference to the CJEU. R (Sandiford) v Secretary of State for Foreign and Commonwealth Affairs  EWCA Civ 581 and  EWHC 168 (Admin) - Appearing for the Defendant in this claim which considered the scope of application of the European Charter of Fundamental Rights and the status of former ‘third pillar’ measures in UK law (led by Martin Chamberlain QC). WH Newson Holdings Ltd & Ors v IMI & Ors - Acting (led by Daniel Jowell QC) for Third Defendant (also a Part 20 Defendant) in this follow on damages claim following the European Commission’s decision regarding the existence of a cartel between copper fittings manufacturers. To defend a substantial Frankovich damages claim concerning financial regulation before the Commercial Court (ultimately settled, led by Andrew Henshaw QC). Lifestyle Equities & Anor v Sports Direct International PLC & Ors  EWHC 728 (Ch), Chancery Division trial of claim for damages for inducing a breach of contract and trademark infringement (led by Nicholas Saunders QC). Successfully appearing unled before the Court of Appeal in British Gas Trading Ltd v Oak Cash and Carry  1 WLR 4530. The decision below, where Malcolm also appeared unled is reported at  1 All ER (Comm) 1000 and  6 Costs L.R. 1122. Acting as sole junior counsel for the Claimants (led by Russell Coleman SC) in Hong Kong seated international arbitration relating to a dispute arising under a Directors’ and Officers’ liability insurance policy. Watson v Sadiq & Anor  EWCA Civ 822 – Appeal to Court of Appeal concerning whether a settlement contained in a Tomlin Order may be set aside on the basis that trial judge ‘entered the arena’ and exerted undue and inappropriate pressure on the Claimant to enter into a settlement agreement. Appearing unled for Claimant in application for ex-parte freezing injunction in case of suspected pension fund fraud. The injunction was granted following an urgent telephone hearing and made final at the interparty return hearing. Appearing unled in Queen’s Bench Division for successful Defendant to application for committal for contempt of court following alleged failure to comply with terms of freezing injunction. Co-Author, Competition Law: General Principles in Vaughan and Robertson's Encyclopaedia of EU Law (Oxford University Press, 2014). "Correcting Miscarriages of Justice" New Zealand Law Journal (2013) p413ff. "Delays and Stays" New Zealand Law Journal (2009), p253 ff (Co-Author with Zannah Johnston, University of Toronto). "Self Incrimination comes to Strasbourg" International Journal of Evidence & Proof (Vol 12, 2008), p58 ff. "Filtering and the International System: A Question of Commitment" in Access Denied: The Practice and Policy of Global Internet Filtering (MIT Press, 2008) (Co-Author with Mary Rundle, Stanford University). "Healing the Past or Harming the Future? Large Natural Groupings and the Waitangi Settlement Process" New Zealand Journal of Public and International Law (Vol 2, No 2 2004), p259 ff. Making Sense of the Foreshore and Seabed (Wellington, 2004) (Co-Author with Tom Bennion and Rebecca Paton).